Manila, Philippines - Asia's Nightingale Lani Misalucha sang her revival of 'Saan Darating Ang Umaga' as a "blind" performer near the Manila City Hall for a societal experiment. Recording outfit Star Records posted the 8-minute music video on Youtube last Tuesday. 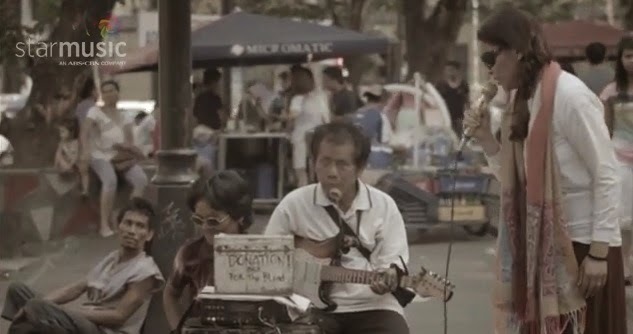 Misalucha is seen wearing simple clothes and sunglasses as she performs beside real "bangketa" singers Mel and Flor, who are both blind. The passers-by have noticed her powerful voice with a number stopping in their tracks and returning to watch the performance. At the end of her performance, a crowd surrounded Misalucha and applauded her. Calling up the unique experience at the conclusion of the video, Misalucha said it would have been hard for the passers-by to recognize her, and even stayed to see her perform. In only two days since the date of upload, the YouTube video now has almost 20,000 views.